Appliances are major investments for your home or business. They are designed to make your life easier; however, in order to maintain their efficiency and productivity, it is important that they are checked regularly. 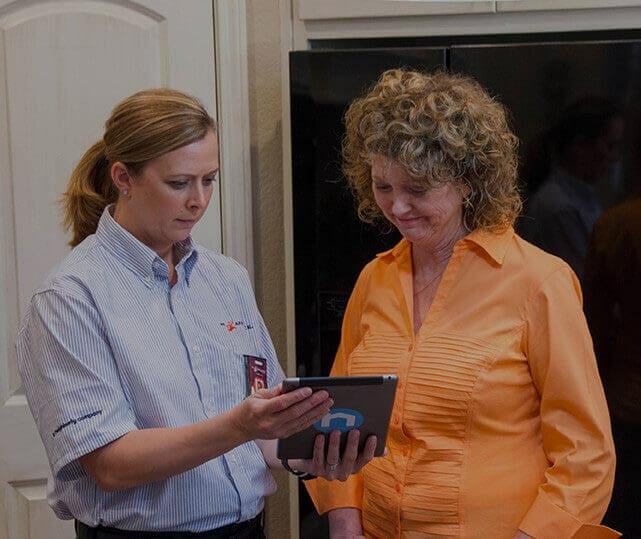 The good new is that our Cape Girardeau appliance service professionals are here to help. Mr. Appliance has over 20 years of experience helping homes and businesses across the nation. Our qualified team understands the complexities of all types of appliances. We care about our customers and prioritize their needs. Call (573) 768-8336 to schedule superior quality service! Respect - We treat each customer like we would like to be treated. We carefully listen to their wishes and deliver quality results. Furthermore, we respect our customer’s time and arrive promptly and work efficiently. Integrity – At Mr. Appliance, we are more concerned about making relationships, rather than profit. We are honest with our estimates and stand by our word. We always keep the lines of communication open, so that you are aware of everything we do. Customer Focus – Everything we do revolves around providing the customer with the ultimate experience. Our appliance technicians refine their techniques and continuously train to ensure you receive the best service possible. Why Choose Mr. Appliance of Poplar Bluff? Our appliance repair technicians in Cape Girardeau have years of experience and training. They work with skill and ease to address even the most problematic oven, freezer, or another unit. We offer upfront pricing and free estimates, so that you can make informed decisions about your devices. Our staff are always courteous, friendly, and in uniform. We stand behind our services and expertise. Learn why Cape Girardeau and surrounding areas trust Mr. Appliance. Call (573) 768-8336 to schedule a service today!